Healthcare UK is seeking to secure partnerships with public health authorities and private healthcare operators, to deliver British expertise in designing, building and operating the Hospital of the Future in the Middle East. Meetings will be held to explore potential partnerships at Arab Health, the largest healthcare exhibition in the GCC, taking place from 28th - 31st January in Dubai. 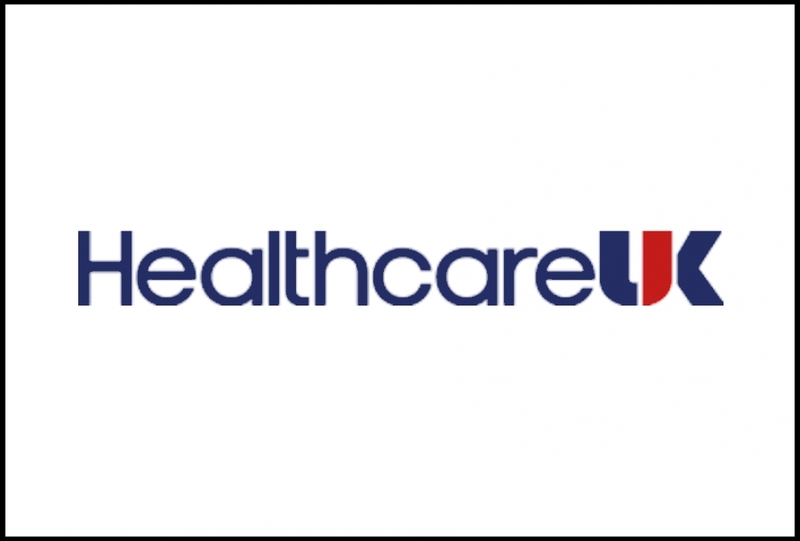 The Healthcare UK team is inviting interested parties to book private meetings. In those meetings, parties will discuss the UK’s 70+ years’ experience of delivering universal healthcare, free at the point of care, at a system-level and how that could support the Middle East in meeting its health transformation objectives. The Healthcare UK team also has access to the UK’s leaders in robotics, digital and AI. “In the Middle East, the healthcare sector is experiencing rapid development. A readiness to forge partnerships with leading healthcare institutions around the world, along with a willingness to adopt new ideas and bring them to fruition, is paying dividends. “The bold programme of healthcare development underway in the Middle East is facilitating and leveraging new partnerships with UK healthcare organisations and providers. After all, where better to come for support in developing a healthcare system than the UK’s National Health Service (NHS) which, since its inception in 1948, has ensured universal access to high-quality healthcare, based on clinical need and not ability to pay? Partnerships explored during the meetings will build on previous work by Healthcare UK and its partners, including Moorfields Eye Hospital Dubai. Moorfields Eye Hospital NHS Foundation Trust is the oldest, and one of the largest, centres for ophthalmic treatment, teaching and research in the world. More than 200 years after its foundation in 1804, Moorfields moved beyond the United Kingdom to open Moorfields Eye Hospital Dubai in 2007. The Moorfields international operating model – developed over the last 11 years in the United Arab Emirates – incorporates teaching and research, as well as consultant-led clinical care. Moorfields Dubai provides day case surgery and outpatient diagnostic and treatment services for most surgical and non-surgical eye conditions, equivalent to that available at the UK main sites. Moorfields Dubai has treated more than 180,000 patients over the 11 years, from over 185 countries, and has quickly become one of the GCC’s leading eye care institutions. Its success led to further expansion in the UAE with the opening of Moorfields Eye Hospital Centre in Abu Dhabi, in collaboration with United Eastern Medical Services, and Al Jalila Children’s Specialty Hospital in Dubai, where Moorfields Dubai now conducts complex paediatric ophthalmology surgeries. Moorfields Eye Hospital Dubai is owned and managed by the NHS Foundation Trust and maintains close links with London, enabling patients in the GCC to receive the best and up-to-date eye care treatment in the world. Moorfields Eye Hospital NHS Foundation Trust continues to deliver exceptional patient experience through utilising pioneering technologies, which will benefit patients in the UK and ultimately those being treated through the Moorfields partnership model in the Middle East. “The UK’s NHS is transforming provision in the healthcare sector - in a way that other industries such as retail, travel and banking have already undergone – and will continue to do so. The opportunities offered by technology to innovate in healthcare across personalised medicine, digital and data, devices and wearables are being further brought together to create scalable, accessible and sustainable healthcare. “The opportunities for collaboration across global markets are huge, creating true healthcare advancements to deliver care on demand to our populations. Pioneering governments are already taking the right steps towards creating systems that can deliver improved health outcomes at a lower cost, with greater convenience and a better experience for patients. “Ultimately, the Hospital of the Future is about using technology to create a new transformative roadmap for healthcare”.